FALL RIVER — Bishop Edgar M. da Cunha, S.D.V., will celebrate the annual Red Mass in the Fall River Diocese at 4 p.m., Saturday, September 29, 2018, in Saint Mary’s Cathedral, Fall River. A long standing tradition in the Church, the Red Mass is celebrated each year in the diocese to invoke God’s guidance and strength on those who work to promote justice in the legal system. Judges, attorneys and others working in the justice system throughout Southeastern Massachusetts, Cape Cod and the Islands are invited to attend. At the conclusion of the Mass, in keeping with a tradition unique to the Fall River Diocese, Bishop da Cunha will present the St. Thomas More Award to members of the area legal community in recognition of dedicated service. Selected for the honors this year are, as distinguished jurist, Judge Daniel J. O’Shea, First Justice, Attleboro District Court; as distinguished attorney, Stephen F. Kiley, Massachusetts Department of Mental Health, Taunton Office; as distinguished court employee, Faith Shannon, Judicial Regional Secretary, Barnstable District Court; as distinguished recipient of the ecumenical award, Attorney Scott W. Lang, of Lang, Xifaras, and Bullard, New Bedford; and as distinguished recipient of the Joseph P. Harrington Founder’s Award, Attorney Robert Surprenant, of Surprenant and Beneski., P.C., New Bedford. The Red Mass is so named because of the color of the vestments worn during the liturgy, which is the Mass of the Holy Spirit, who will be invoked upon those in attendance. Its roots date back to 13th century Europe, and it is widely celebrated in dioceses throughout the U.S. The St. Thomas More Awards are named for St. Thomas More, a 16th -century English layman and lawyer martyred for opposition to the divorce of King Henry VIII and for refusing to renounce papal authority. Award recipients were nominated for the recognition by the Red Mass planning committee from across the diocese, headed by New Bedford attorney Michael J. Harrington. O’Shea was appointed to the District Court in 2005 and has served in his current post in Attleboro District Court since 2010. A member of several committees that work to improve the operation of the court, he is currently chairman of the District Court Case Flow Management Committee. He served for the past several years as a Judicial Mentor in the Trial Court’s judicial mentoring program. 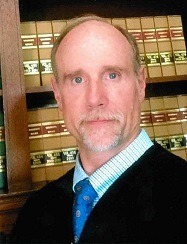 Prior to his coming to District Court, he was Senior Judge for the state’s Department of Industrial Accidents, where he had administrative and supervisory authority over the department’s Administrative Judges, Reviewing Board Judges and its Division of Dispute Resolution. Earlier in his career he worked as a staff attorney for Commonwealth Energy System (now known as Eversource) and as claims supervisor for Liberty Mutual Insurance Company. O’Shea is a graduate of New England Law School in Boston. Married, he and his wife, Donna, are the parents of three adult children. O’Shea is a parishioner of Holy Cross Parish in Easton. Kiley is assistant general counsel for the state’s Department of Mental Health. As such, he represents the agency in guardianship and civil commitment cases, reviews statutes and regulations, conducts in-service trainings and provides other legal assistance as necessary. He has been with the department since 1997. He maintained a general practice of law for twelve years before that, concentrating in criminal defense, mental health and probate and real estate law. For many years, he also taught part-time at area colleges. A certified official in the Massachusetts Track and Field Officials Association and USA Track and Field, Kiley has volunteered his service in that capacity for many years at the Special Olympics and Bay State Games, Southeast/Coastal Region. He is an active member of his parish, St. Louis de France, Swansea, serving on its Catholic Charities Committee and formerly on its Finance Committee. He holds a law degree from New England School of Law, Boston. A resident of Somerset, he is married to Janel Lafond Paquin and has a stepdaughter and two grandchildren. Shannon began her work in the Trial Court in 1998 in the Wareham District Court clerk’s office. 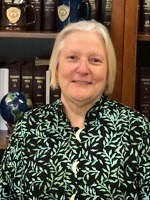 In March 2005, she was named to her present post as regional assistant for District Court Region I, helping Administrative Justice Kathryn E. Hand manage its day-to-day operation. Region 1 encompasses nine District Court divisions located within the Barnstable, Bristol, Dukes Nantucket and Plymouth Counties that are staffed by 24 judges. Prior to her employment with the court, she and her husband Francis (Frank) A. Shannon, Jr., were co-owners and operators of R.W. Thorson, a long-established leather tanner. Shannon resides in Onset and attends St. Margaret Parish in Buzzards Bay. She has two step children. Lang has practiced law for over 40 years, most of them as a partner in the New Bedford-based firm of Lang, Xifaras and Bullard, providing representation in a range of areas such as personal injury, workers’ compensation, labor and employment law, discrimination and civil rights. 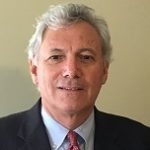 His legal career has also included service as an Assistant District Attorney for Bristol County for 12 years and as an arbitrator with Commonwealth Mediation and Conciliation, Inc. for six. From 2006 to 2012, he served three terms as Mayor of the City of New Bedford. He was for many years an adjunct professor at the University of Massachusetts/Dartmouth, teaching courses in political science and labor law. He continues to be a frequent panel participant in labor and employment related seminars for professional associations. Over the years, he has been recognized for his civic engagement and public service, including receiving an honorary degree from Bristol Community College and the Distinguished Service Award from Bridgewater State University, both in 2012. Lang, who is a native of New York, earned his law degree from Georgetown University Law Center in Washington, D.C. He is married to Marguerite “Gig” Lang, and they are the parents of three children. Surprenant began a private practice of law in the Greater New Bedford area in 1975. In 2003, he founded the firm of Surprenant and Beneski, P.C., to specialize in elder law. He has written and lectured frequently on elder law issues. With the practice now carried on by his daughter and son, Surprenant serves as of counsel to the firm. Earlier in his career, Suprenant served as assistant clerk of the Bristol County Superior Court and as an assistant attorney general for the Commonwealth of Massachusetts. In the latter capacity, he directed the consumer protection office for southeastern Massachusetts. In 1993, he was ordained a Permanent Deacon for the Fall River Diocese and served in that capacity at St. John Neumann Parish, East Freetown; St. Anthony Parish, Mattapoisett; and Holy Name Parish, Fall River. In addition, he and his wife, Diane (Poyant), were engaged in prison ministry in the area for some 11 years. 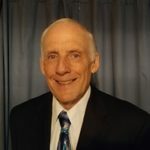 While a resident of Freetown, he was active in town government serving as a member of its Board of Selectmen, Board of Health, and Finance Committee of which he was chairman. Suprenant is a graduate of Boston College Law School. He and his wife currently live in Fairhaven. They have six children and 19 grandchildren. All are welcome at the Red Mass. A reception and dinner will follow for which a ticket is required. For information, please contact Atty. Harrington at 508-994-5900.